What is PROTEIN THERAPY FORMULA? 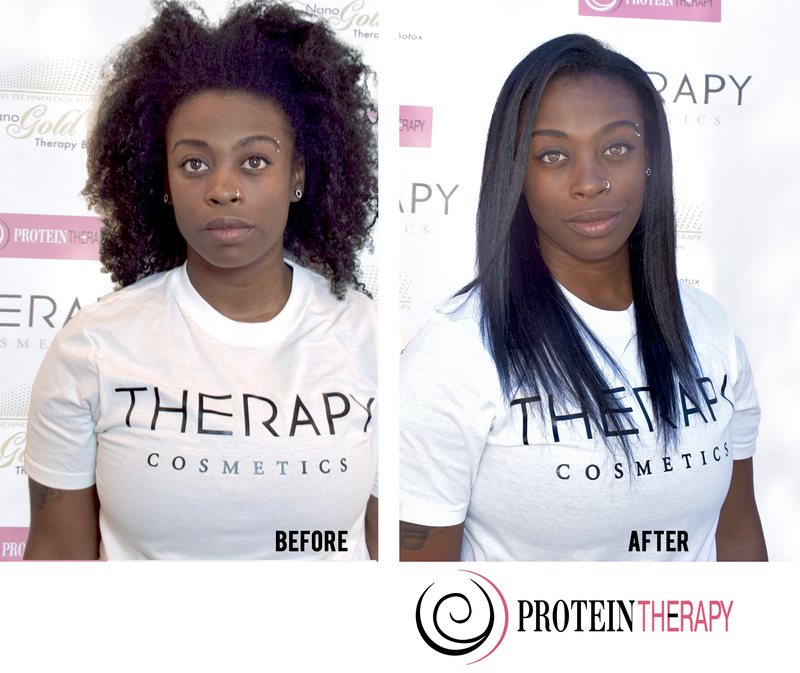 Protein Therapy Formula is a unique and revolutionary treatment that can actually change your hair's life. Our product will turn damaged and frizzy hair into healthy, silky, straight hair. It will add incredible shine, and most importantly it is formaldehyde free formulation. How does Protein Therapy work? 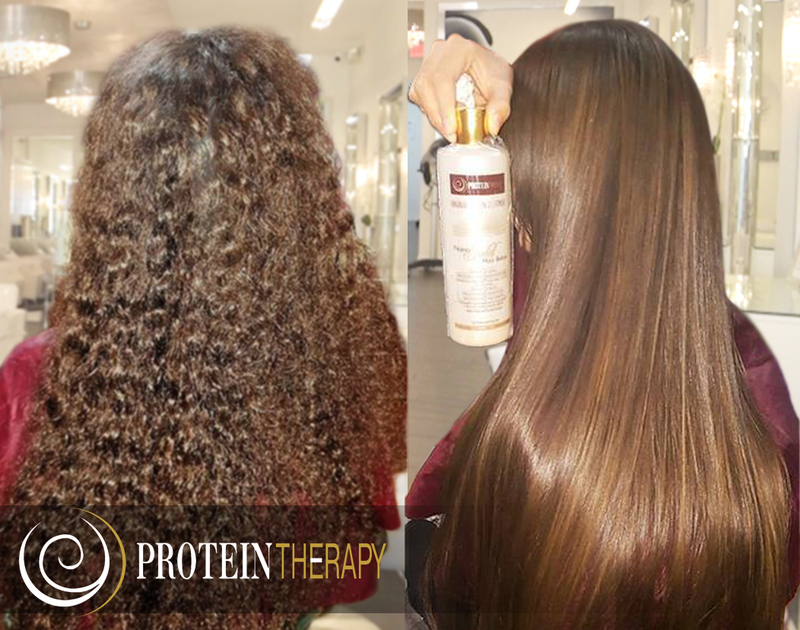 Protein works by infusing natural keratin and vegetable proteins right back into the hair, past the cuticle and into the cortex. 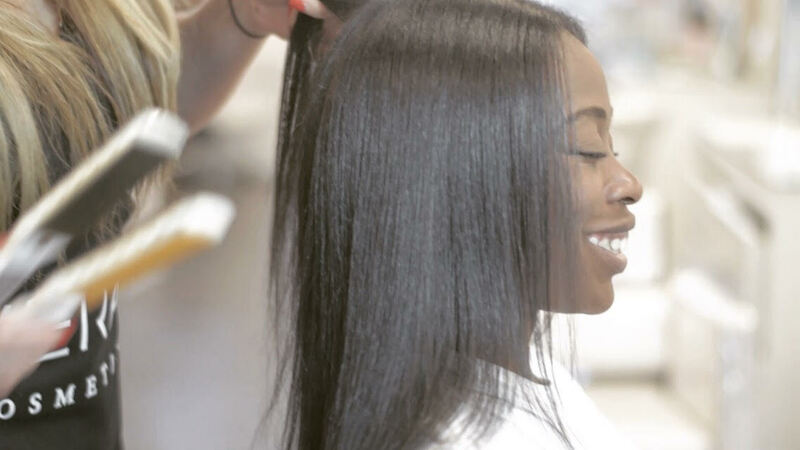 Because hair is made mostly out of keratin and proteins, the treatment gives hair it's natural building blocks. The heat of the flat iron seals in the keratin and bonds it to the hair with the help of nanoparticles. Duration of the effects will depend on each person’s habits and on the type of hair, the results can last 3-6 months. 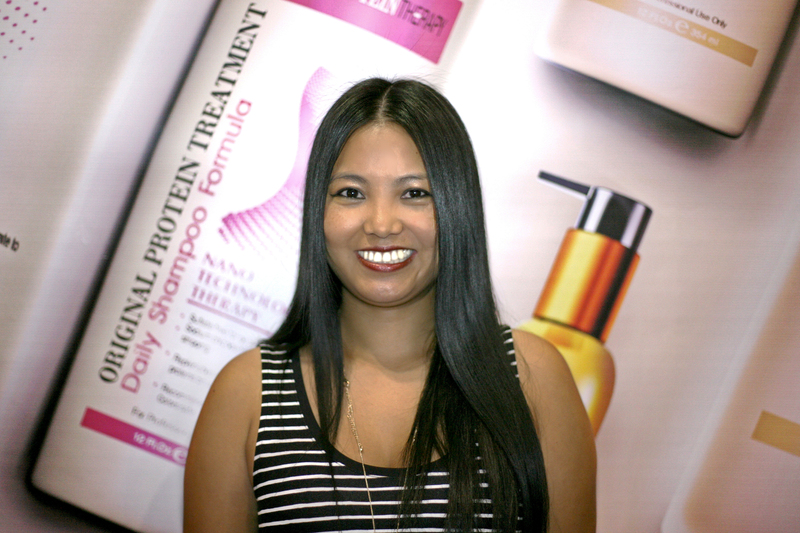 Using the right hair care products can extend the life of the treatment. 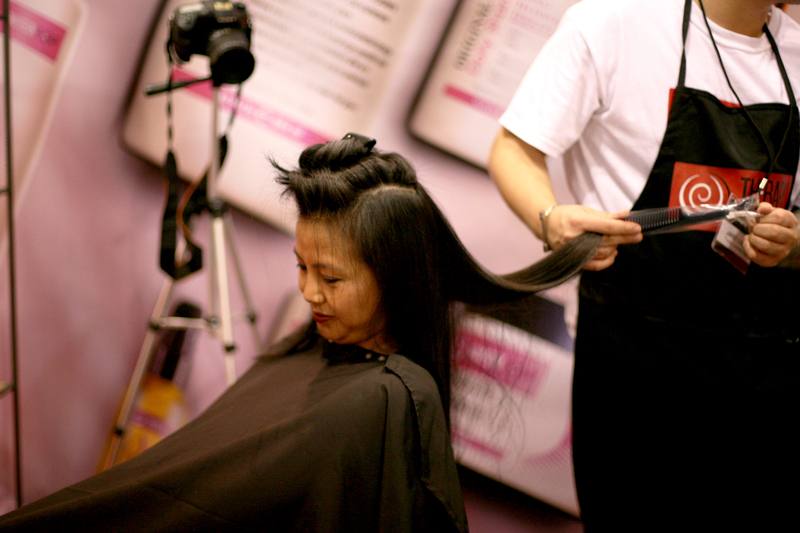 The results will vary depending on the initial hair condition. Results will be seen on hair that is very damaged or chemically treated. 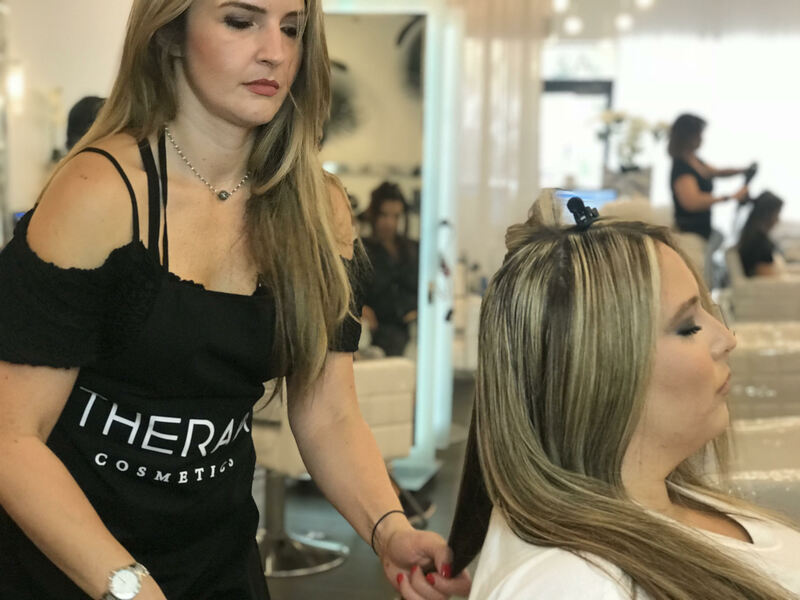 The treatment is not like traditional straighteners, so all hair types will benefit from the keratin and proteins leaving hair healthy, straight, shiny and silky and manageable. On what hair types can the treatment be done? On all hair types: colored, highlighted, damaged, frizzy, as well as hair that has never been chemically treated. Can I use a steam dryer to help activate the treatment? Using the steam dryer is an optional step that can help infuse the treatment before using the hairdryer. 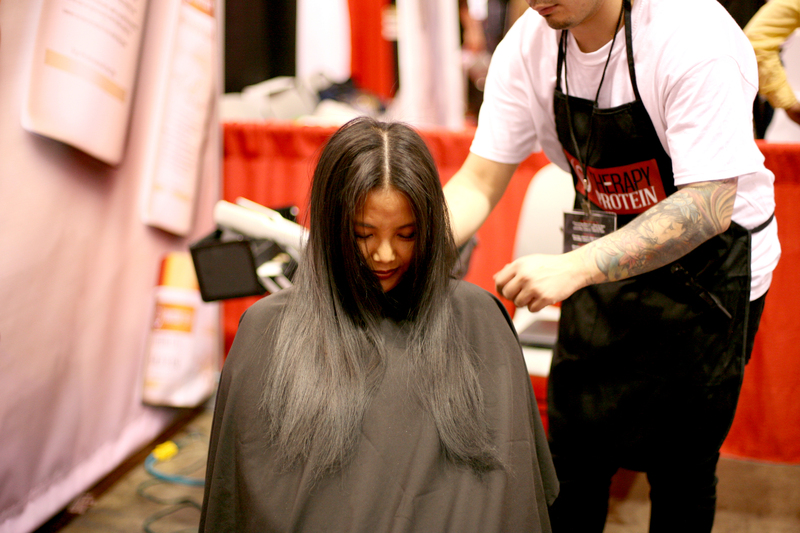 A steam dryer will not dry the hair completely, and therefore should not replace the regular hair drying procedure. If using a steam dryer, the hair should be covered with a plastic cap. Can I color my hair after the treatment? 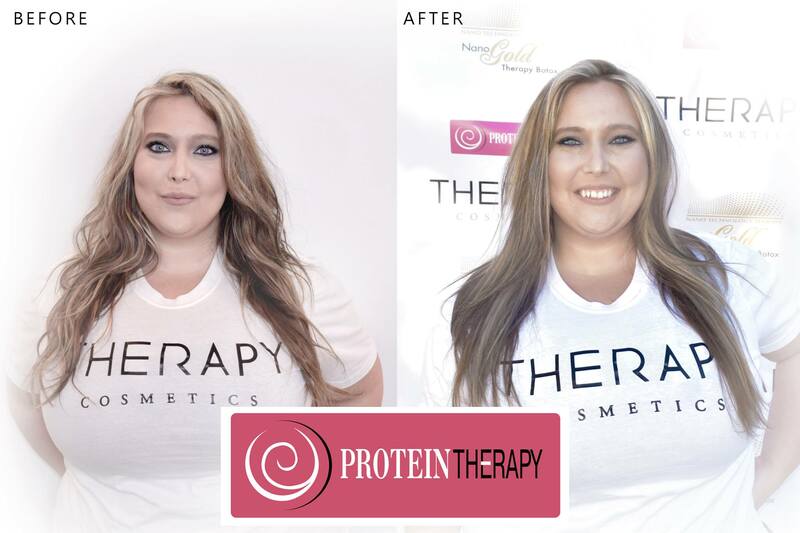 The Original Protein Therapy Treatment helps to lock in color, and make it more vibrant and shiny. We recommend doing color right before doing the treatment or on the very same day. 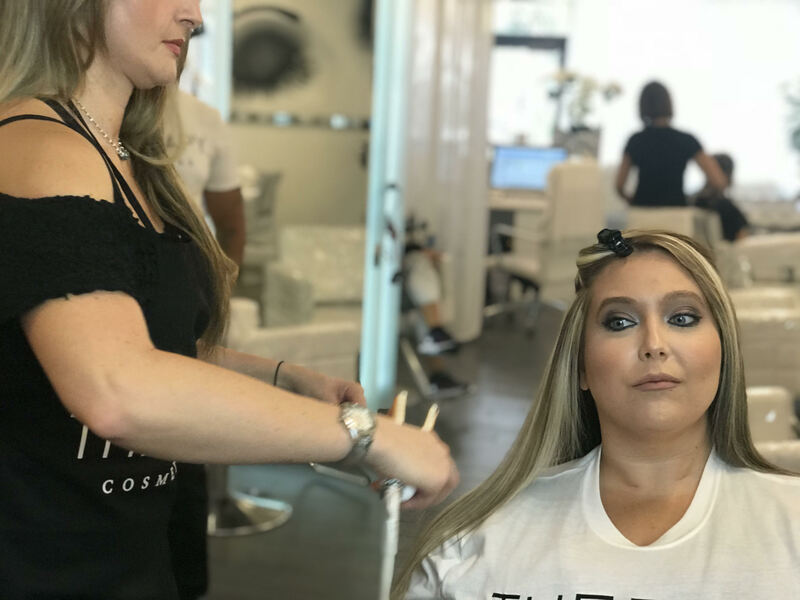 If you don’t do it before, then you should wait at least two weeks to color the hair, or the color process will strip away the treatment. What should I do after I get the treatment done? It is recommended to wait 8 to 24 hours after the treatment to wash your hair to lock in the proteins (it depend on the hair type). However, because this is not a chemical treatment you may style and wear your hair as you would normally choose. How often can I do the treatment? The treatment can be done as often as 2-4 weeks, depending on individual needs and habits. For example, someone who swims in the ocean or the pool every day will need a re-application sooner than someone who washes their hair every three days. How should the re-application be done? The re-application should be done on all of the hair, and not just on the new growth. 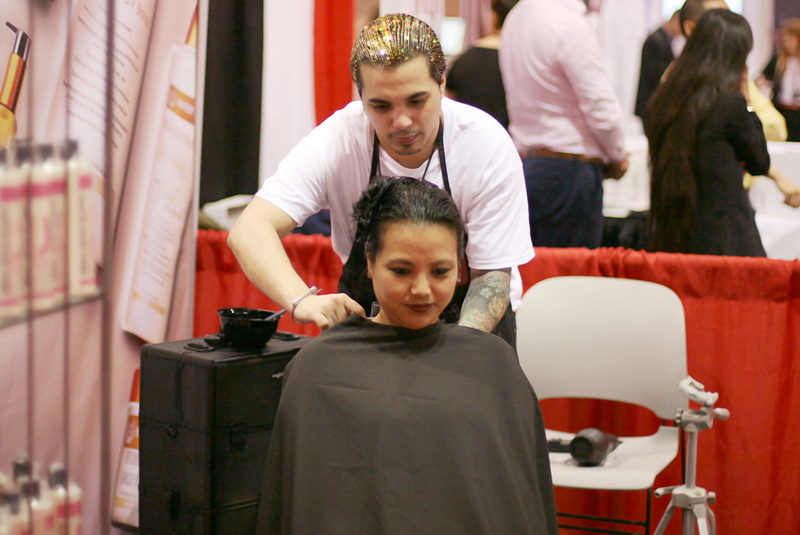 The results improve after every application, so it is important to do the re-application on the entire head. 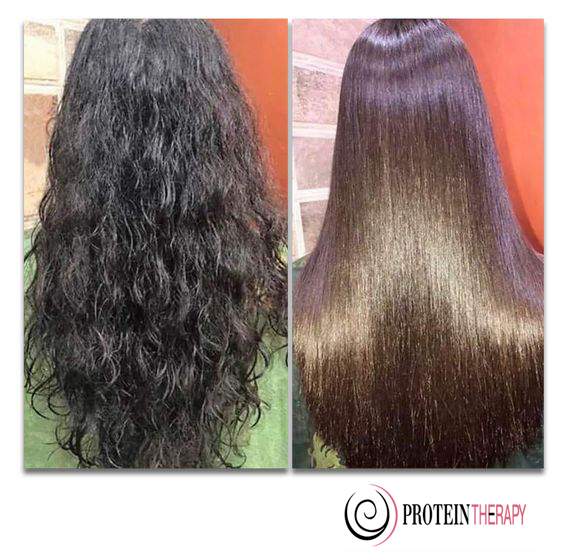 The reinfusion of keratin and protein is healthy for the hair, so there is no reason not to do it.